A set of T-shirts from Adam Kimmel’s Spring/Summer 2011 collection has just dropped. 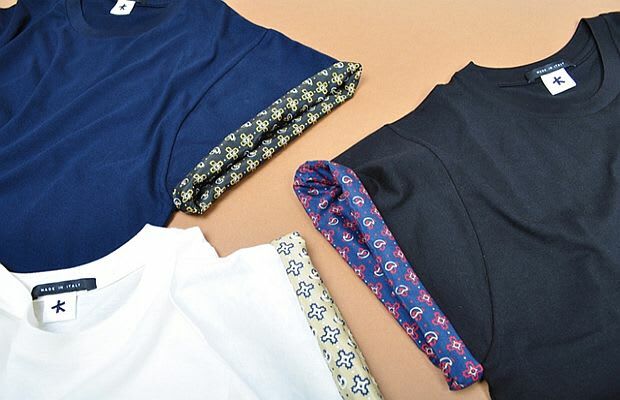 These Bandana Roll-Up Sleeve T-shirts take inspiration from hip-hop artist Snoop Dogg and continue the theme of his current collection filled with gangsta steez. Constructed in fine Italian cotton, the shirts reveal a bandana silk print when the sleeves are rolled up. Pick some shirts up now at the Por Vacacao website, $165.